Michael Gove writes in the Telegraph today about the narrowness (down to non-existence) of young people’s reading, and makes several arguments for encouraging broader and wider appreciation for books. In true Telegraph style, the piece is illustrated with a 1950s nuclear family gathered around a trashy adaptation of a classic, but I have much sympathy for the arguments he makes. He makes particular reference to the encouragement of reading in the United States. 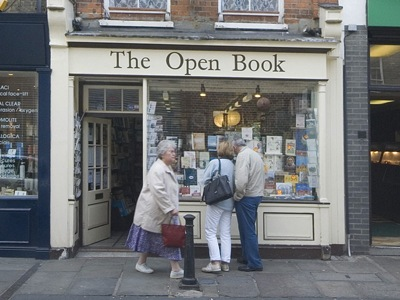 As someone who spent some years selling books in America and, the American way, in Britain, I can attest to this – there is a reverence in the US for “good books” that is wholly absent in this country. “Summer reading” – the schools-driven programme which aims to ensure as many children as possible read as many great books as they can during their formative years, and do so in the summer holidays, is one of the foundations for the respect that literature commands; it also ensures a shared set of cultural references. This isn’t to say that Americans (to generalise) don’t watch too much trash TV, but there is a literary bedrock in place that can be drawn from and returned to in later life. Having also worked in Ireland and in Russia, I’ve identified a similar respect in those countries for great books and for the act of reading, which we fail to promote in the UK. Instead, discussion of the value of good books becomes another class battle, another left/right spat, and given Gove’s fogey-ish tendencies, his aspirations will be caricatured and mocked by political opponents, inane comics and all the rest. “Good books” will have to stay on the shelf until Andrew Davies blows the dust off them. I was a little shocked to read that “in exams more than 90 per cent of the answers on novels are on the same three works: Of Mice and Men, Lord of the Flies and To Kill a Mockingbird”. Partly because the whole study of literature gets compressed into three texts, endlessly and unimaginatively regurgtated. However, I was also left pondering the fact that I’ve never read any of them… Perhaps I should – or shall I add them to my private list of cultural beacons that I missed first time around, and will now perversely avoid for the rest of my days – Star Wars movies, Led Zeppelin albums, Big Brother shows and the rest. 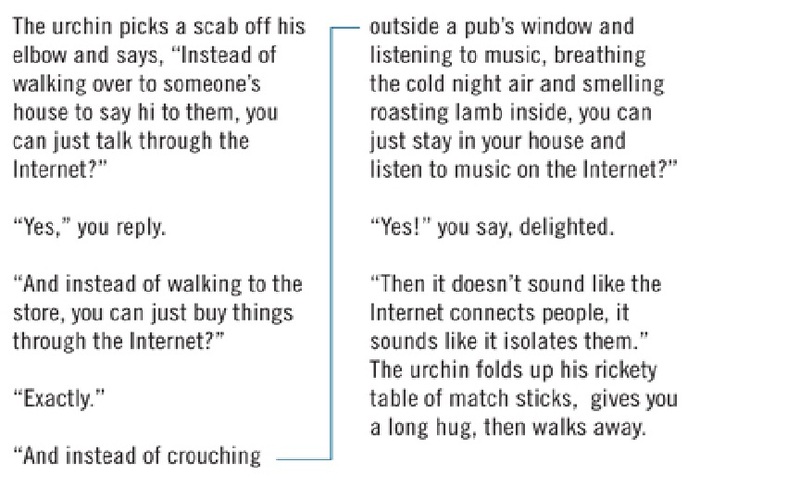 This has been online and circulating for a while, but I enjoyed its Friday humour: how to explain the internet to a Dickensian urchin: http://www.fastcompany.com/1697711/explain-the-internet-19th-century-british-street-urchin-doogie-horner#self. 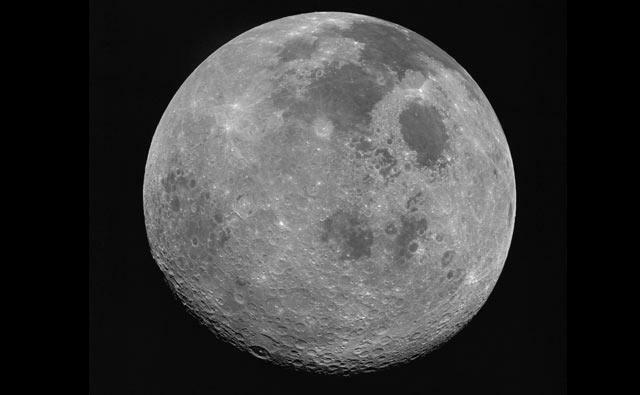 Much excitement yesterday, as the Moon passed closer to the Earth than it has for around 20 years. Only marginally closer, but occupying more sky nevertheless, and bringing people out to marvel from their roofs and doorsteps. RC Sherriff, best known for Journey’s End, but also scriptwriter of Mrs Miniver, The Dambusters and many others, has had a couple of his 1930s novels republished by the excellent Persephone Books. One, The Fortnight In September, is firmly in core Persephone territory, and is an understated tale of a family seaside holiday, wherein the characters learn more about themselves as they grow up and get older – it’s a wonderfully calming read. The other title, The Hopkins Manuscript, is altogether odder. 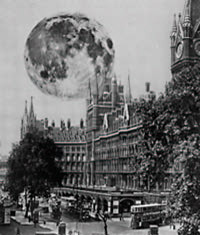 A fantasy with much HG Wells influence, its premise is that the Moon starts to move closer to the Earth, becoming larger and larger. At first, governments assure their citizens that the change is a visual trick, then they have to acknowledge that the Moon is on a collision course with us. Published in 1939, the book is in part an allegory about the rise of fascism. Unusually – but curiously compellingly – the narrator is an unsympathetic character – an amateur astronomer who is in the know, and believes himself (wholly erroneously) to be superior to his fellows. Last night’s lunar excitement wasn’t the only reason I’ve found myself thinking about The Hopkins Manuscript. At the point of calamity, a vast tidal wave sweeps across England, destroying much social and physical infrastructure, and leaving the ocean liner “King Lear” resting in Hopkins’ field. You can work out the parallels for yourself. Read the book if you get the chance.